The McGill Daily is located on unceded Kanien’kehá:ka territory. Colonialism was, and continues to be, one of humanity’s greatest evils. A process fuelled by greed, it threatens to annihilate existing cultures through the forced imposition of another – supposedly superior – culture. Colonization is the act of encroaching on and claiming lands where others already live, and enforcing one’s own cultural practices upon the inhabitants. One understanding of decolonization as a movement that aims to undo the impacts of colonialism by re-introducing pre-colonial cultural frameworks to those affected by colonization. It aims to give back recognition and respect to people from whom it was viciously stripped. As students at a colonial institution, the onus is on us to assist decolonization efforts by being allies to Indigenous people. At McGill, this partly entails acknowledging the Indigenous history of the land on which the university is built. We live on a continent where a vibrant Indigenous culture was attacked by colonization a few hundred years ago, when Europeans began to explore the globe and claim what lands they stumbled upon as their own. Throughout the Americas, Europeans asserted their ownership of Indigenous lands in different ways, whether through physical aggression or emotional manipulation, and forced the displaced natives onto increasingly smaller strips of land. During this period, vast numbers of Indigenous peoples were decimated, both through genocide and the introduction of European diseases, facilitating the successful establishment of European colonies. Many Indigenous people were enslaved or coerced into intermarriages where they were forced to adopt European culture. These occurrences, combined with the arrival of missionaries who preached European culture and values, served to nearly extinguish the rich Indigenous cultures of the Americas. We live on a continent where a vibrant Indigenous culture was attacked by colonization a few hundred years ago, when Europeans began to explore the globe and claim what lands they stumbled upon as their own. The residential school system in Canada was the physical embodiment of cultural genocide, whereby European colonizers forcefully imposed their culture upon Indigenous children. Indigenous people were forced to attend these schools, which sought to completely erase their culture through physical and emotional abuse – speaking in their native tongue or even acknowledging their Indigenous heritage warranted severe punishment. There were also many reported cases of sexual abuse at these schools, the psychological impacts of these abuses have spanned generations. With the last residential school only closing in 1996, and an estimated 80,000 people alive today who attended residential schools, the ruinous effects of the colonizers’ crimes are clearly not a thing of the past. In order to compensate for the brutal actions of those who created the society in which we live today, we have to mitigate the lasting damage caused by colonization. Being an ally asks that we, as people with privilege, recognize that privilege and listen to the needs of those who are marginalized by the same system from which we benefit. The process of being an ally involves building long-term relationships with marginalized groups, and working together toward goals that confront and mitigate ongoing oppression. With regards to decolonization specifically, we as settlers can start as allies by being aware of the history of the land on which we stand and acknowledging that history publicly. What is not widely known […] is that McGill was built on traditional Kanien’kehá:ka land. It is common knowledge that McGill is one of many educational institutions formed by beneficiaries of British colonialism. Even the name of the university is indicative of its colonial nature – James McGill was a wealthy British colonizer who donated the funds that allowed McGill to flourish all those years ago. What is not widely known, however, is that McGill was built on traditional Kanien’kehá:ka land. The lack of public awareness and effort by our university to own up to its past serves to create an oppressive environment for Indigenous students, whereby the atrocities committed against their ancestors are simply swept under the rug. In conversations with The Daily last October, Kakwiranó:ron Cook, the Aboriginal Outreach Administrator at McGill, recalled when his sister was a student at McGill. Despite having historical ties to the land, his sister felt lonely, both due to a lack of diversity in the student body and the absence of acknowledgement of the Indigenous land. The issue of territorial acknowledgement was one of three proposals put to the McGill administration, which aimed at creating a more welcoming environment for Indigenous students. The proposal called for McGill to publicly acknowledge on its website and in email signatures that McGill is built on traditionally Kanien’kehá:ka land. 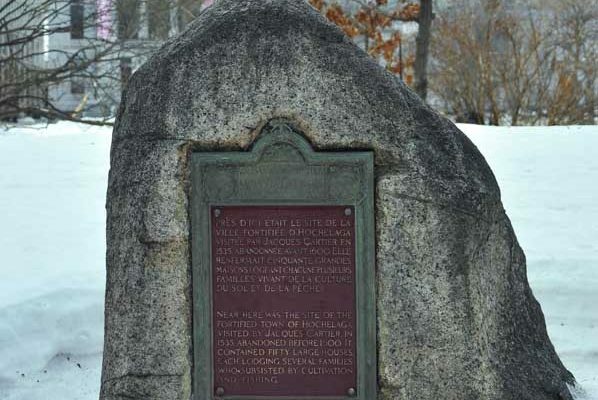 The second proposal called for a relocation of the Hochelaga Rock, which commemorates the Indigenous history of the land. 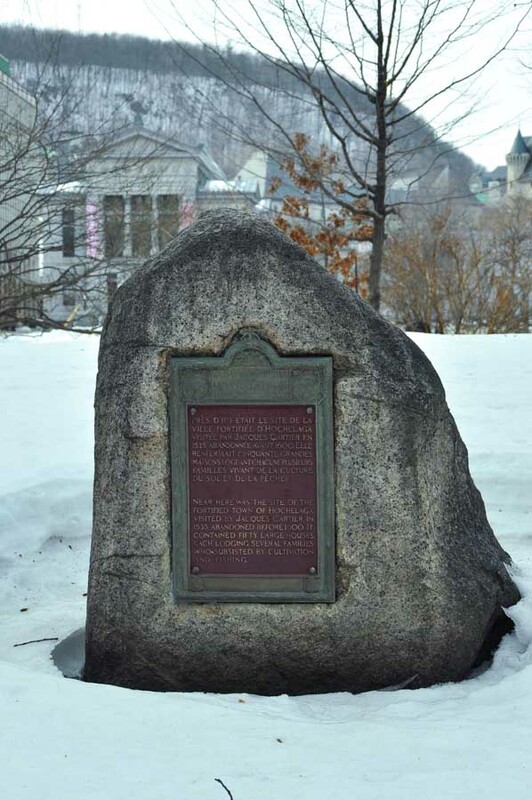 It can currently be found shoved in a corner near Roddick Gates, but the proposal called for it to be moved to a more prominent area on campus, such as in front of the James McGill statue. Finally, the third proposal asked that the Hiawatha belt flag, which symbolizes the unity of the five original nations in the Haudenosaunee Confederacy, be raised over the Arts building on National Aboriginal Day and during the annual Indigenous Awareness Week held at McGill in September. The lack of public awareness and effort by our university to own up to its past serves to create an oppressive environment for Indigenous students, whereby the atrocities committed against their ancestors are simply swept under the rug. McGill, for its part, has allowed strides toward acknowledging the Indigenous history of its land with its annual Indigenous Awareness Week, a week where Indigenous culture is celebrated and shared with the Montreal community. The Indigenous Studies minor, a program discussed as early as the 1980s and finally implemented in Winter 2015 due to mounting student pressure, also takes McGill a step in the right direction. These actions, however, pale in comparison to what should be done based on the violent history upon which McGill owes its success. We, as students of a colonial institution, should work toward acknowledging our university’s colonial history and help it progress further toward decolonization order to make this institution a welcoming environment for all. Jasreet Kaur is a U2 Accounting student. To contact her, please email jasreet.kaur@mail.mcgill.ca. Got questions, concerns or want to contribute to this section? It's easy! You can email the editors at commentary@mcgilldaily.com!